The voestalpine Meincol S.A. “Transformar" Professional Education Center has been in operation since 2012 and offers professional training that lines up with the demand on the job market. In each new course, 14 young people train to become industrial plant maintenance technicians. 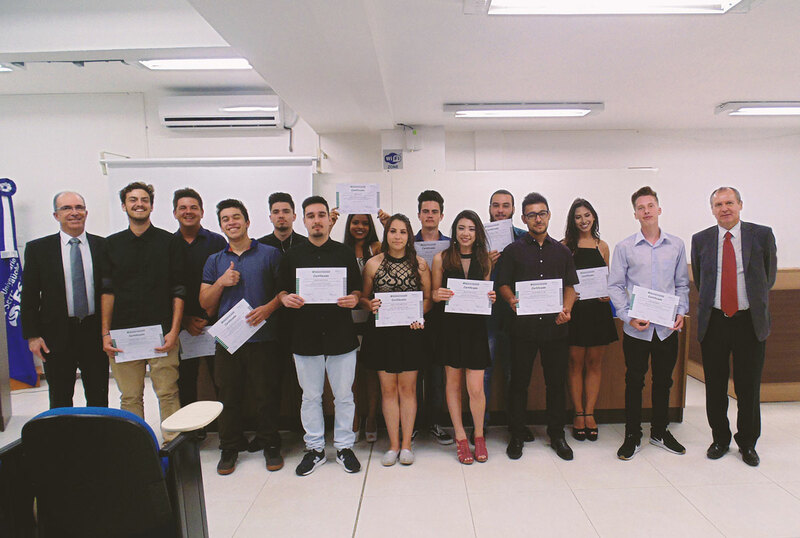 As a partner school of SENAI (the Brazilian National Service of Industrial Training), “Transformar” is regularly evaluated, explains Trainer Sandro Ricardo Visioli. “I see the great attention with which everyone treats the project, and this ‘effort’ is actually transforming the lives of our students in a positive direction. We are one step ahead with regards to ‘Methodology’ and development of the Program, according to SENAI”, says Visioli. At present, voestalpine Meincol has its third class at the Transformar Educational Training Center. Fourteen young people are starting the Mechanical Maintenance program at the beginning of 2018, to prepare themselves for the professional market, and for life. According to Everaldo Oliveira da Silva Junior, who works in production at voestalpine Meincol 1 and has been with the company for four years, the program gives a good idea of what “professionalism” means since the program provides a real concept of the professional environment and interpersonal relationships: “It is important to take advantage of the opportunities made available.Additional knowledge, that stays with you forever! "It is important to take advantage of the opportunities made available. Additional knowledge, that stays with you forever!" "Be curious about the subjects being covered and take advantage of every possible opportunity to practice on the equipment you are learning to use. If you want to continue working in this area, the program that voestalpine Meincol offersis a very valuable foundation for future job opportunities."